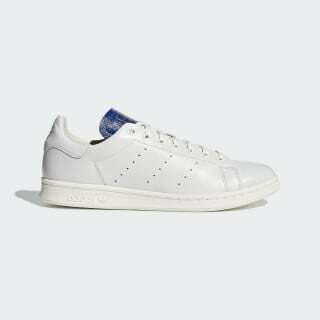 A premium edition of the Stan Smith made from Italian leather. 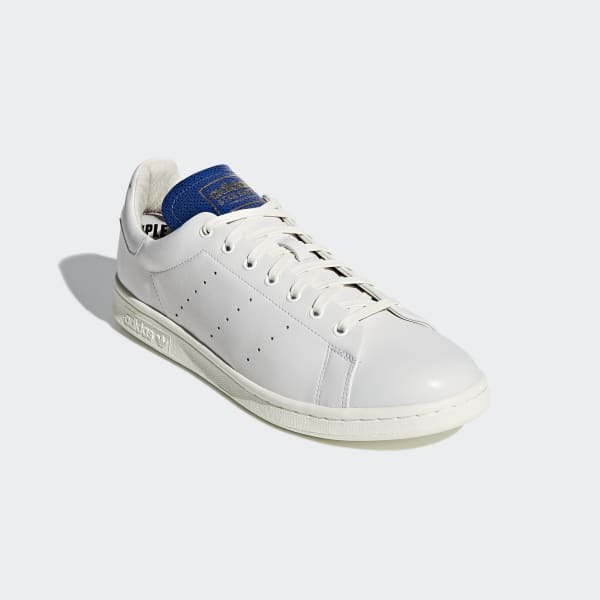 The Stan Smith translates court style into elegant streetwear simplicity. This luxe Blue Thread version of the classic is crafted from premium Italian leather. These shoes showcase a crisp palette of tennis-white accented by a rich royal blue. The blue tongue flashes a golden logo.